The Universal Orlando Florida complex has two theme parks, Universal Studios and Islands of Adventure, several exclusive hotels, an entertainment venue that really rocks at night called CityWalk with restaurants, bars, dance clubs & shops, plus a huge AMC Lowes Universal Cineplex 20. Islands of Adventure brings you worlds of entertainment and fun. Centered around a huge lagoon, each world immerses you in a new world of adventure. Dr, Suess land is a favorite of children and adults alike. From riding through The Cat in the Hat story to a Dr Seuss creature merry-go-round to a High in the Sky Trolley Train or getting cooled off twirling with One Fish, Two Fish, you can delight your children by making their favorite Dr. Suess books come alive or relive your own childhood memories. But that is just one of the many world to amaze and explore. In Jurassic Park you can watch a baby Dino hatch and name it yourself. You get your own birth certificate and anytime in the future you can go back to check on the size of your dino and behavior…yup they even record if your dino has bit anyone! There is also Super Hero Central where you can ride the Hulk roller coaster if you dare or get soaked on Popeye’s Bilge-Rat Barges or Dudley Do-Right’s Ripsaw Falls. And of course experience the 4D sensations of the Amazing Adventures of Spider-Man. The most popular attraction is of course the Wizarding World of Harry Potter – Hogsmeade where many rides and attractions await. Forgot your wand, you can get a very special one here. Specialty wands activate many hidden treasures, even one in the candy shop window! And don’t forget to pick up your favorite Harry Potter Jelly Bean flavors and some Butter Beer! To top off The Wizarding World, if you have a park-to-park pass, you can take the Hogsmeade Express train over to Universal Orlando in a real moving train with passenger compartments and an adventure each way. All scooters and wheelchairs (except for Universal rented ones) are transported on the train from park to park. For those who could benefit from mobility assistance or just want to conserve energy for their nighttime entertainments, Orlando scooter rentals are welcomed. To rent a scooter, mobility scooter, electric wheelchair, electronic convenience vehicle, ECV, for Islands of Adventure all you need to do is make a reservation either online (https://scootorlando.com/scooter-reservations.html) or by telephone it will be delivered to your hotel, resort, timeshare, villa direct or even campground. Scooter Vacations is the only company that offers six different scooter models to choose from (https://scootorlando.com/scooters-pricing/) and three will fit in a car trunk with a weight capacity of up to 450 Lbs and our luxury models handle up to 550 Lbs. If you are not staying at a hotel on-site at the theme park, a transportable scooter rental is very important and even if you are on-property, a scooter that will fold up and fit in a trunk is a great choice if you plan on visiting other theme parks or Orlando area attractions while on vacation including shopping malls etc. A scooter that folds-up or easily disassembles and fits in the trunk of your car, a rental car, taxi, van etc. will be greatly appreciated if you want to dash off for a shopping trip at one of the great designer outlet malls or a dinner show etc. With lightweight yet a sturdy design and advanced engineered to provide 12-15 hours of daily theme park use battery power scooters make Scooter Vacations the number one luxury mobility scooter rental company serving Islands of Adventure and all venues in Orlando. 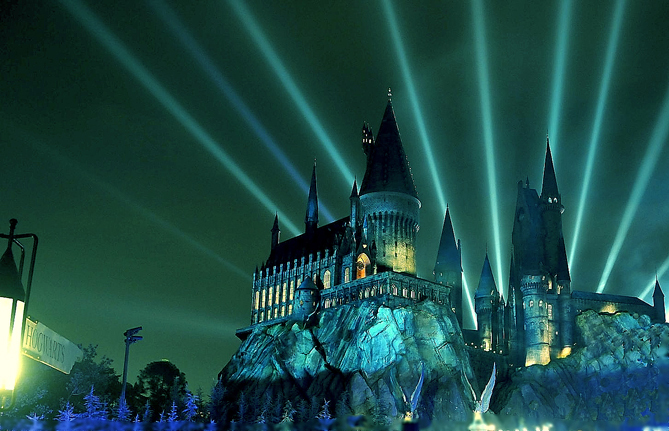 Ensure you have the best for your Orlando Florida Universal Studios vacation. How does my rental scooter get delivered to me at Islands of Adventure? Except in pre-arranged, specific needs cases, scooters are delivered to where you are staying and you transport them with you to Islands of Adventure. Scooter Vacations offers rental mobility scooters for use throughout Orlando theme parks.